Extreme Couponing-Is It Worth It? Did you watch last night’s season premiere of Extreme Couponing on TLC? If you did, you might be wondering how you can recreate the astonishing savings that all the participants seemed to rack up. Is there anyone among us that wouldn’t be thrilled to leave the supermarket with an overflowing shopping cart full of groceries that we paid mere pennies for? The question is, is it worth it? Are the extreme savings worth the extreme preparation, extreme stress and inconvenience of extreme couponing? First, let’s be clear. Extreme Couponing is a whole different animal then strategic shopping (which I fully endorse by the way! I love me some coupons!). Strategic shopping involves many of the same principles as extreme couponing, but on a much less drastic level. 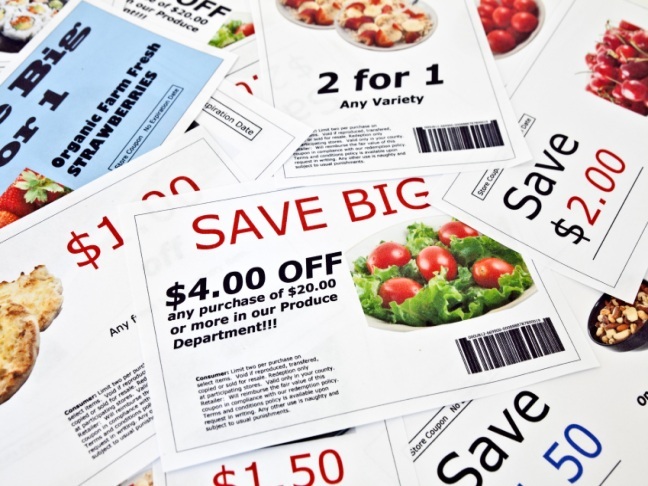 Strategic Shopping: Using coupons, combined with sales to get the best possible prices. Most likely using enough coupons to get a 6-8 week supply (the normal time frame for a sales cycle). Extreme Couponing: Using massive amounts of coupons, combined with sales to get the best possible price…even if that means asking the store to special order for you or shelf clearing (most extreme couponers do ask the store to special order and have a policy against shelf clearing). Use as many coupons as you can clip to get the biggest supply possible. Strategic Shopping: Stockpiling so that the items your family uses and needs are always on hand. Learning sales cycles and rock bottom prices so you can stock up at regularly spaced intervals. Your stockpile and your couponing do NOT impede on your lifestyle, it just enhances it. Extreme Couponing: Stockpiling to the point where your garage looks more well stocked then your local convenience store. Couponing takes over to the point that you find you are choosing a great sale over a great life experience. I will be the first to admit I think it’s absolutely ridiculous to spend $3 on a box of cereal (please don’t tell me you paid more, I might faint). I also think it’s equally ridiculous to have 300 boxes of cereal sitting in your garage. Do you pay for toothpaste? Why in the world do you pay for toothpaste when there is a coupon and a sale available every single week, and you can get it for free? Likewise, I promise you you do not need 50 tubes of toothpaste. Just because something is free, doesn’t mean it’s free. Someone might go into a supermarket and come out with 90% savings, but how much did they spend to obtain those coupons? That amount is rarely factored in when extreme couponers brag about their savings. I’ve seen some spend upwards of $100 on a really hot coupon (for reference, you cannot sell coupons. Clipping services charge for the time spent clipping and shipping and handling). What about the 2 hours spent to find, verify and organize the deal? I run a frugal living/deal blog; trust me when I tell you that deals are often complicated and time consuming to work out correctly. At the end of the day, is it really worth it to be an extreme couponer? Why not just scale back and strategically shop? I have some ideas on what makes truly extreme couponers tick, but I want to hear what you think? Talk to me in the comments. Heather is a wife and mum of two living in the great state of Texas. She loves to work with children and spend time with her family. Heather loves to write about family, frugality and parenthood. When she was a little girl, her mother always told her that one day she would be a writer. She planned to be an actress, a teacher AND a lawyer but told her mum she would never, ever, be a writer. Fast forward 20 or so years, and the biggest lesson Heather has learned is that your mum is always right. Heather started using coupons and shopping sales to save her family money and it caught the interest of everyone around her. To keep from repeating the same thing over and over again, she started a blog to share her love of great deals and fun, frugal living. You can find her blogging at Family Friendly Frugality and over at A Southern Mum.